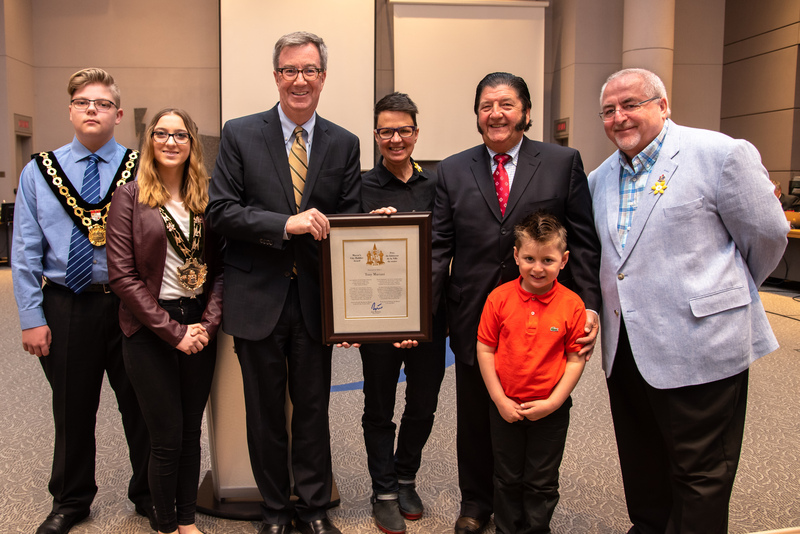 Mayor Jim Watson and Kanata South Ward Councillor Allan Hubley presented the Mayor’s City Builder Award to Tony Mariani at City Council today in recognition of his dedication to volunteerism, particularly for Ottawa’s Italian community. Mr. Mariani has been involved with organizing Italian Week in Ottawa since 1975, putting together a week-long program of events that celebrates the history, heritage and impact that Ottawa’s Italian community has had on the City. Mr. Mariani has been instrumental in organizing an annual gala for St. Anthony’s Church for the past decade. St. Anthony’s is the unofficial home of Ottawa’s Italian community. Mr. Mariani, the CEO of Mar Gard Builders Limited, is also a proud supporter of Make-A-Wish Foundation Eastern Ontario and has worked tirelessly to raise funds. He has been named an Honorary Lifetime Board Member for his continued dedication.